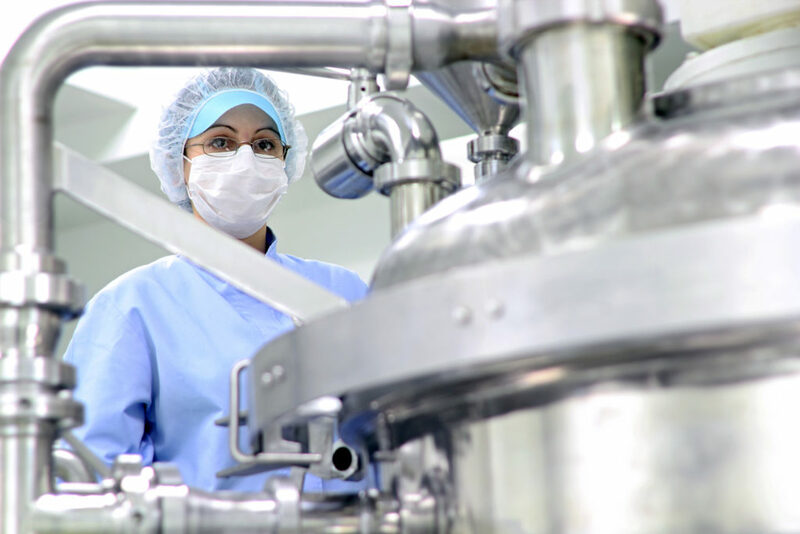 Throughout this series, we’ve covered six of the eight best practices for retrofitting an automated pharmaceutical manufacturing facility. In this installment, we’ll cover the last two practices to make your retrofit as efficient and effective as possible. #7: Leverage computing virtualization technologies to save space, time, and money. Manufacturing control and I/O rooms are generally packed full with computer racks, equipment, and cabling. Finding the physical space for staging a new computer system as part of the retrofit process can be challenging. But computer virtualization technology has advanced significantly in the past several years, and facilities can take advantage of it to greatly reduce the physical space requirements of the new system. Virtualized computing platforms are capable of running multiple operating systems and software applications at the same time. This saves space, time, and expenses for the company doing the retrofit, and increases system administration efficiency both during the retrofit project and subsequent lifecycle of the new system. Using virtualization technologies delivers significant benefits. Centralized management of the manufacturing system— from maintaining anti-virus protections to updating the underlying operating system software— makes system administration simpler and more efficient. And employing standardized server configurations helps to ensure the new systems adhere to design and technical specifications. The savings in physical space, power, and cooling are significant, as are also the reduced costs during both implementation and subsequent maintenance of the system. Genentech’s retrofit project required deployment of a large number of new computer server platforms, which would have introduced considerable increases in both system administration complexity and physical space requirements. Their use of virtualization technology allowed them to save substantial time and space, and helped reduce costs for both the retrofit project and long-term support. #8: Develop “fall back” contingency plans for recovering from critical post-deployment problems. You’re probably familiar with Murphy’s Law: whatever can go wrong, will go wrong. Even the best-laid plans can’t anticipate every possible problem or pitfall when installing a new manufacturing system. Contingency planning, while not a fun step for project teams, is undoubtedly a necessary one. Having backup plans in place is a prudent and forward-thinking move for facilities, especially given that regulatory agencies can shut down a pharmaceutical manufacturing plant if the new systems don’t perform according to their functional requirements and approved licenses. By creating contingency plans for reversing the retrofit in advance, project managers can ensure that even if disaster strikes after the new system has been implemented, they have a viable path forward for trying to solve the problem. Such plans ensure that if the new system needs to be backed out, the plant will be able to resume operations with the legacy system as quickly as possible, ensuring the least possible impact on both the company’s global supply chain and overall profitability. Genentech developed such a plan, which specified the activities and proper sequence for reversing all of the retrofit upgrades and ensuring that the legacy manufacturing system could be restored with full functionality. Although never employed, its existence itself was an important and valuable asset for the company, and would have proved essential if deployment if the new system had encountered unexpected catastrophic results. These best practices, when put together, helped in creating a comprehensive strategy for carrying out as efficient and effective a retrofit project as possible, and the resounding success of Genentech’s project only served to reinforce their benefit. If your pharmaceutical manufacturing facility is considering manufacturing system upgrades, it would be wise to keep these practices in mind when preparing your plans. To review these best practices and read more about them, download our white paper here. Is your facility considering a retrofit? Which of these practices do you think is most important to incorporate in your plans? First of all, thank you for sharing your valuable idea. That’s really helpful. Personally, I would like to say thank u for helping me, really great tips and very much useful for all. I am also following your valuable thought. Once again thank you.